A step is eliminated by putting uncooked ground turkey directly into the slow cooker, instead of browning it beforehand. Also, if you like a little spice in your chili but want to tame it down for your kids’ benefit, puree a can of chipotle chiles in adobo sauce. 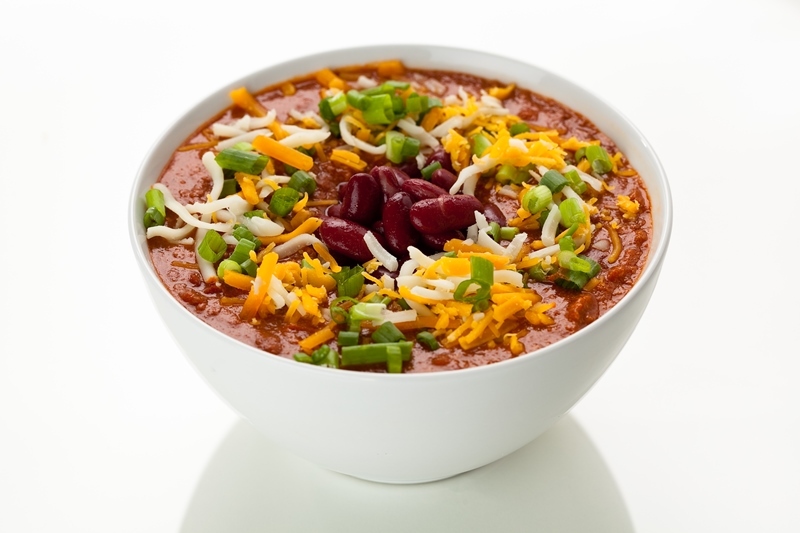 Stir a teaspoon or so into your chili bowl to spike up the heat while keeping the kids’ versions spice-free. Optional toppings: Sliced radishes, cilantro leaves, avocado chunks, chopped scallions, low fat sour cream, crushed tortilla chips, etc. In a 7- to 8-quart slow cooker bowl, combine all the ingredients; stir together very well, breaking up ground turkey. Cover with the lid and cook on high for 6 to 8 hours. Taste, adjusting salt and spices, as needed. The ground turkey, onion, and red pepper will give off a bit of moisture—if the chili is too thin for you, use an immersion blender to puree it a little to thicken. When ready to serve, serve with toppings.